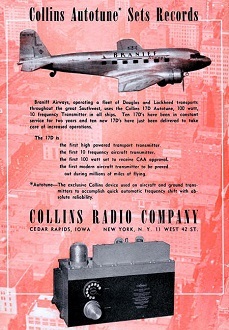 This advertisement for the Collins Radio 17D Autotune transmitters serves a couple purposes. The first and to me the most important is that it features the magnificent Douglas DC-3 twin engine commercial airliner. The military version, the C-47 Skytrain transport, was listed by Dwight D. Eisenhower as being among the four most important pieces of hardware (the others were the bazooka, the jeep, the atom bomb) that helped win World War II in the European theater. It dropped the paratroopers and towed troop gliders during the D-Day invasion. 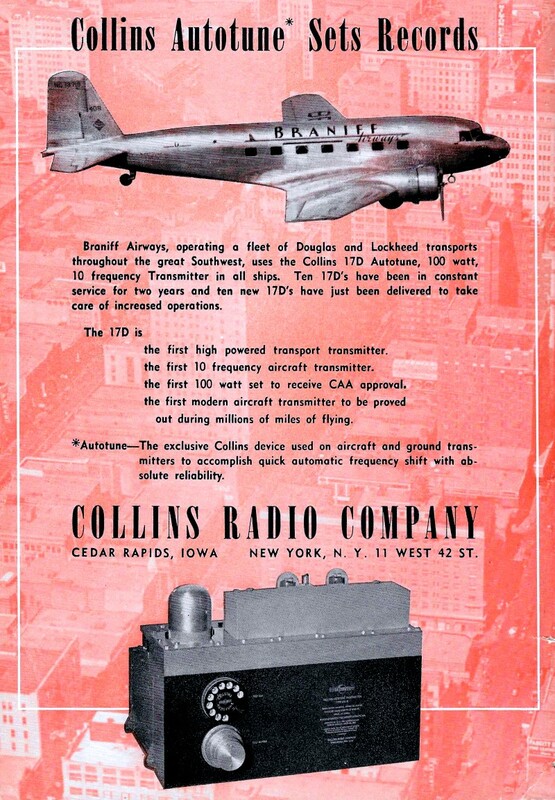 Interestingly, although Collins claims the 17D Autotune transmitters were widely installed in Douglas and Lockheed aircraft, a pretty extensive search for a photograph of a surviving unit turned up nothing. It did find, however, a copy of this exact same advertisement on the RockwellCollinsMuseum.org website. Don't bother trying to view the image if have your AdBlock Plus or some of the other ad blocker software installed on your computer or smartphone, because it will not appear. That's right, the fact that the file path name has the word "advertisement" in it evidently triggers the blocking algorithm - http://rockwellcollinsmuseum.org/products/advertisements/17D_QST_may1939_large.jpg. That illustrates a problem with ad blockers that I will soon address in a separate article. Braniff Airways, operating a fleet of Douglas and Lockheed transports throughout the great Southwest, uses the Collins 17D Autotune, 100 watt, 10 frequency Transmitter in all ships. Ten 17D's have been in constant service for two years and ten new 17D's have just been delivered to take care of increased operations. 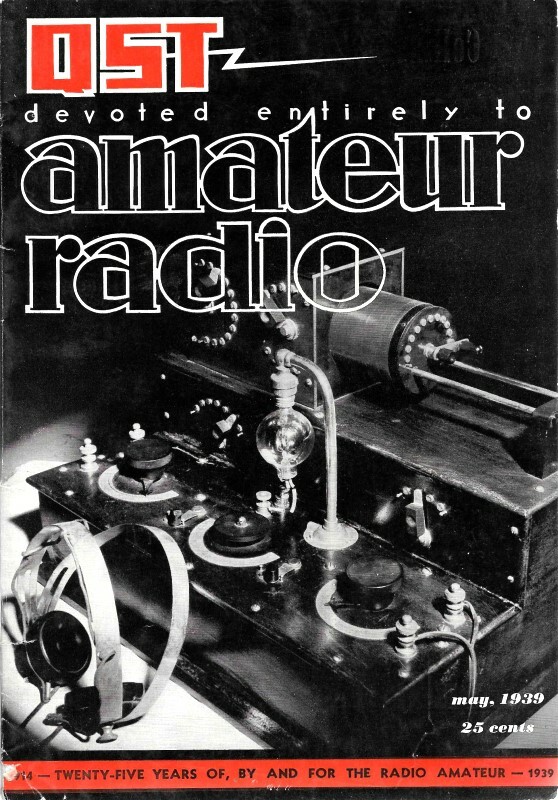 the first high powered transport transmitter. the first 10 frequency aircraft transmitter. the first 100 watt set to receive CAA approval. the first modern aircraft transmitter to be proved out during millions of miles of flying. * Autotune - The exclusive Collins device used on aircraft and ground transmitters to accomplish quick automatic frequency shift with absolute reliability. Cedar Rapids, Iowa New York, N.Y. 11 West 42 St.